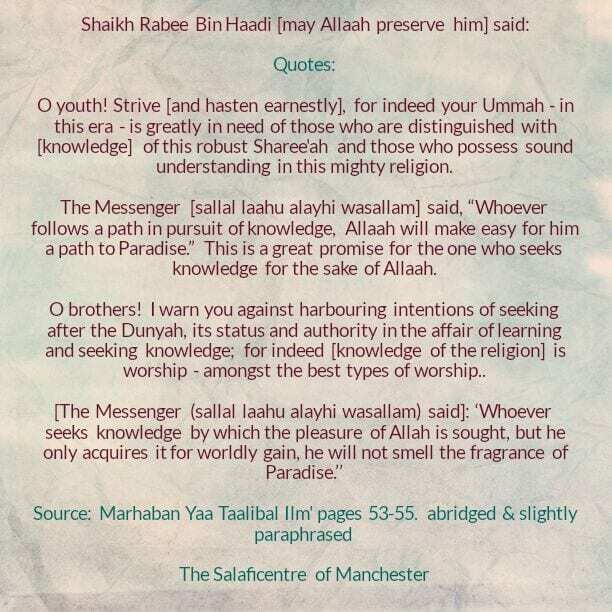 The Messenger [sallal laahu alayhi wasallam] said, “Whoever follows a path in pursuit of knowledge, Allaah will make easy for him a path to Paradise.” [Ref 1] This is a great promise for the one who seeks knowledge for the sake of Allaah. I seek the protection [of Allaah] for myself and [ask Allaah to protect] you from these blameworthy traits – a person possesses knowledge and does not act upon it, so he is either included [amongst those mentioned in this] Aayah or some of it applies to him. 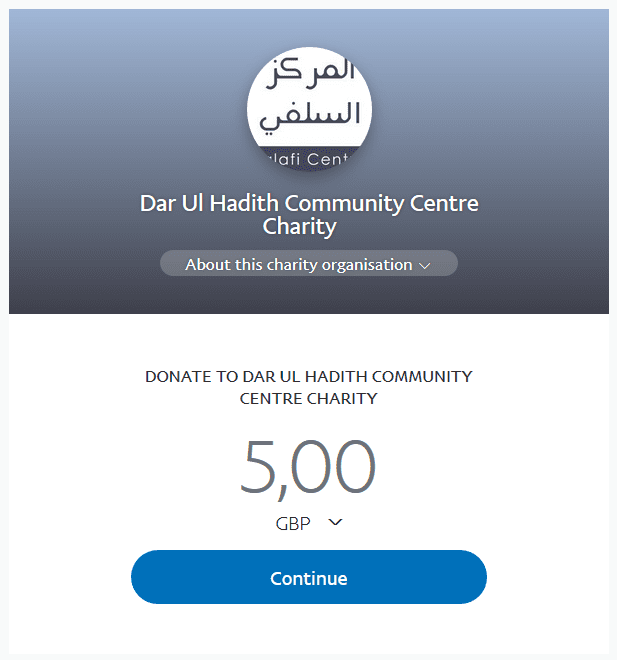 May Allaah protect us and you, for indeed the Messenger [sallal-laahu-alayhi-wasallam] has informed us about the destination of those who perform acts of worship only to be seen, whether it is a student of knowledge, a scholar, a Mujaahid or one who spends his wealth [in charity etc]. O my brothers! Sincerity is a great affair. [Therefore], it is incumbent upon a Muslim to guard it and take himself to account at every moment of his life. One of the Salaf said: I used to hold that the hadeeth requires a Niyyah [i.e. sincere intention for seeking knowledge of hadeeth], but then I realised [or understood] that every hadeeth requires a [sincere] intention. Therefore, when you narrate or speak, do you desire praise from the people or do you desire the Face of Allaah [The Blessed and Exalted]? Do you desire that it is said, “He is a scholar; he is intelligent; he is a learned person of sound, precise and robust understanding;” or do you desire the Face of Allaah and to fulfil the responsibility you carry [i.e. knowledge of the religion].